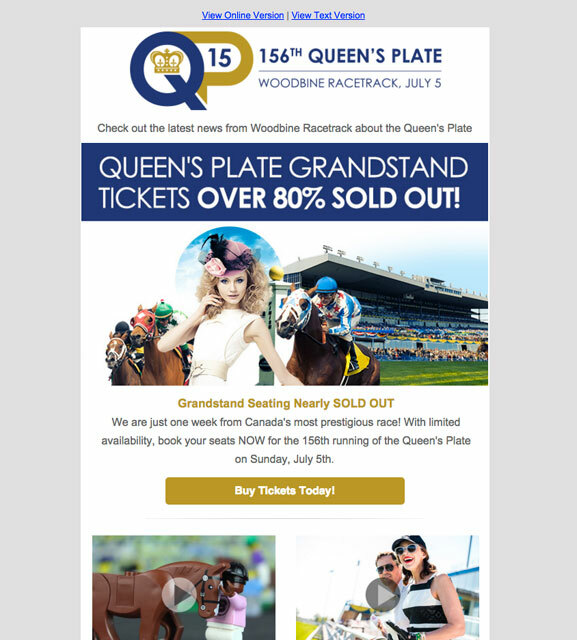 Woodbine Entertainment annually hosts the Queen’s Plate – the biggest stakes race in Canadian thoroughbred racing. Each year the client rebrands their their logo, through a contest. In 2015 Degroot Design’s logo was chosen. 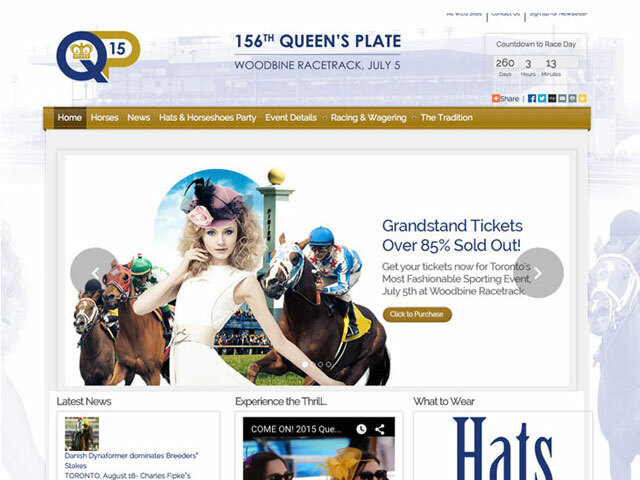 Alongside the logo we also redesigned the existing Queen’s Plate website and made it fully responsive across all devices and easy to update. The website incorporated the colours of the logo and included a social Tagboard, countdown timer and social links.